Native Vancouverites will know it by three letters: MOA – The Museum of Anthropology at the University of British Columbia. MOA has long been a staple of architectural awesomeness combined with relevant exhibitions enjoyed year round by both locals and tourists. It is an inviting environment recently named one of Canada’s most significant buildings, receiving the 2011 Prix du XX3 Siecle Award. Whether or not you are a teacher or a student, a blue-collar worker or a business executive, native Canadian or visitor from abroad – MOA has something for you to explore, take in and enjoy. The central values of MOA are: inspiration, inclusiveness, community, stewardship, innovation and service. Together the contributors to this unique space in Vancouver are hoping to transform the way people learn about the world around them, especially in regards to various ethnic groups and life traditions. When visiting the museum, you will see that the recent Renewal Project of 2008 has helped the museum to double in size. 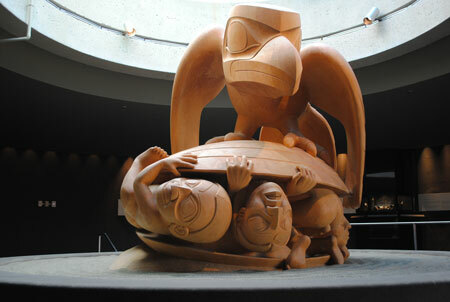 The original facility was opened and titled its current name - MOA The Museum of Anthropology at the University of British Columbia – in 1976. Since then, a new wing was first added in 1990, followed by the 2008 expansion that was necessary to contain all of the exhibits and ideas being set forth by supporters and museum curators. Around the museum grounds, you will find plants indigenous to British Columbia, as well as other parts of the world , allowing for a lesson in world culture both inside and outside MOA’s doors. Exhibits tour throughout the museum, usually for a few months at time, and they sometimes go through an application process found in detail on MOA’s official website. A current exhibit, as of October 2011, is Hiroshima, designed by Ishiuchi Miyako. Those fortunate enough to visit the museum through February 12, 2012 will witness photographs taken by Miyako that document various items left behind by victims of the 1945 atomic bomb. Many additional items are on display direct from the Hiroshima Peace Memorial Museum, which Miyako hand-selected for MOA’s exhibit. Visitors are guaranteed to be captured with feelings of reverence toward the people who endured this brutal attack during World War II, and may feel a wide range of other emotions as they work their way through the museum’s alternate exhibits. Long term exhibits include Haida houses, artistic carvings by Northwest Coast artists, and world arts. Also be sure to check out the workshops and public performances sometimes offered in the on-site theatre. MOA is usually closed on Mondays, but open every day of the week besides, utilizing Vancouver’s traditional museum tour hours of 10am to 5pm. During the summer months, the museum is opened, complete with extended hours, on Tuesdays. Admission is $14.00 for adults, and $12.00 for students and seniors. 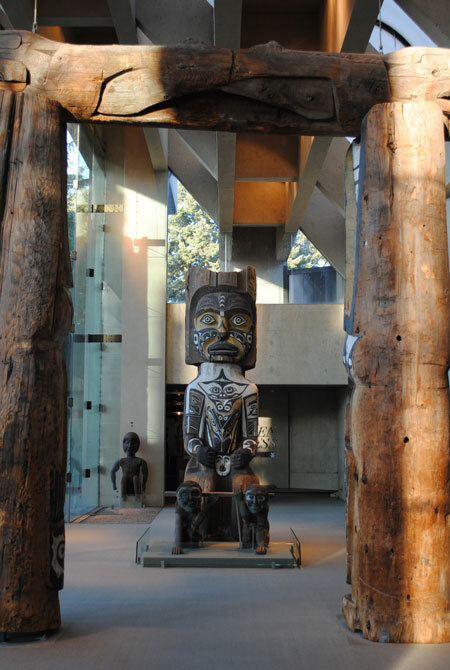 For those on a budget hoping to visit MOA (The Museum of Anthropology at the University of British Columbia), family discounts are available, children six and under are free, and a Tuesday evening admission is available for approximately half the price of a general admission. Waterfalls? Visit Athabasca Falls, Sunwapta Falls, or how about Mistaya Canyon, Johnston Canyon or Maligne Canyon! Witness the power of water and watch how water cuts, carving its way into age-old rock. The white churning water crashes and turns into the greenest flow. The spray - refreshing... and cold!!! Nature at its finest. href=http://www.rocky-mountain-tour-guide.com/icefields-parkway.html target=_blank>Icefields Parkway and go for an ice walk or take a ride on an Ice Explorer to learn more about these disappearing wonders. href=http://www.rocky-mountain-tour-guide.com/jasper.html target=_blank>Maligne Lake (famous for Spirit Island) are just a few of the breath-taking jewels here in the Rockies that are easy to get to. Don't forget your camera! href=http://www.rocky-mountain-tour-guide.com/via-rockies-road-and-rail.htmltarget=_blank>Vancouver circle trip that takes you from Vancouver through the Rockies to Banff, Lake Louise, Jasper and back to Vancouver. There is nothing like the views from a train in the mountains! href=http://www.rocky-mountain-tour-guide.com/scenic-drives.html target=_blank>Scenic Drives? Whether you are on the road with a rental car, a motorhome or your own vehicle, there are a number of scenic drives you can do yourself that will guide you to the most interesting spots in the mountains that you won't want to miss. Learning a little more about Canada? Read up on this diverse country of many cultures in my Canada Quick Study. Need to know more about our currency? Take a look at my Canadian Money Quick Study and study up for your trip! The Next Great Souvenir? You want to take something special home from the Rockies, but what? Get some tips on what you have to think about when buying souvenirs and find out what is typical here in the Rockies. Activities? There are so many great outdoor activities that allow you to discover the mountains in a whole new way. Take a canoe out on Lake Louise or a Kayak on the Bow for an afternoon. Go horseback riding through the Sundance Canyon or go hiking at Johnston Canyon.